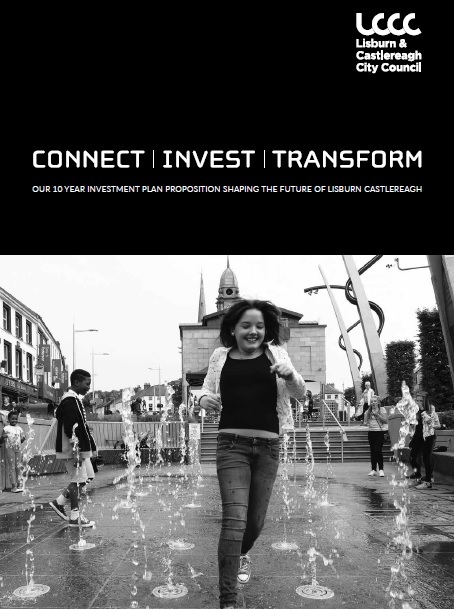 The Council’s Investment Plan proposition document sets out our ambitious vision to Connect, Invest and Transform Lisburn Castlereagh over the next 10 years. With a total investment fund in the region of £250 million we are proposing to undertake a significant programme of work to reshape our area. This proposal aims to modernise what we do and how we do it by strategically targeting investment along with key partners and those who share our vision. Significant balanced investment across the council will include essential infrastructure, digital economy, jobs growth, community assets, public amenity and frontline services. Purposely we will put our ratepayers at the heart of everything we strive for and everything we deliver. Click here to read the proposition document. Lisburn & Castlereagh City Council would like to receive your feedback on its draft Investment Plan proposition, our priorities, projects and actions. Please complete the short survey below. 11. Have you any additional Emerging Opportunities that you feel should be included in the Investment Plan? Please detail below any ideas you have for the future that could be considered within this Investment Plan.